At this point, something's got to give. Today the Stars dropped their 4th straight game and have now lost 7 of their last 9 games. The Moose scored first just 2 minutes into the game, but the Stars matched wits with them and balanced the score 52 seconds later on Colton Sceviour's 5th of the season. Texas would score next as Travis Morin redirected a Landon Wilson's shot which we got after tapping the puck out of midair along the boards. This, however, would end the Stars scoring. Two minutes later, Salcido would score with assists from Desbiens and Waugh. Before the second period was over, Grabner put another one behind Matt Climie. In the third period, the Stars would outshoot the Moose 15-4 with 3 power plays that the Stars could not capitalize on. Moose goaltender, Cory Schneider, certainly deserved the #1 star that he received for his play in this game. He stopped 34 of the 36 shots that he faced from the Stars, who outshot the Moose overall in the game 36-29. This is almost 10 shots above their per game average which ranks them second to last in shots per game. The Stars previously had a record of 5-2-0-0 when outshooting their opponents but now drop to 5-3-0-0. So the Stars put a lot of pucks on net and played pretty well for most of the game. What now? Certainly a large part of the Moose victory was the play of goaltender, Schneider. Schneider has played some in the NHL this season, stoning the Dallas Stars on 45 of 47 shots on November 6th but still taking the loss 2-1. Coach Gulutzan said in the postgame that the Stars will look at the game film but he does not intend on changing much about their approach. One positive note, Maxime Fortunus stopped two empty net attempts by the Moose in the waning seconds of the game. We should really get that guy a glove and blocker and see what he could do! As Josh mentioned in the broadcast, congratulations go out to Perttu Lindgren of the Texas Stars who did not travel with the club today as his wife gave birth this morning to a baby boy. There was a great story about Texas Stars leading scorer, Greg Rallo, published in the Statesman today. Greg wasn't expecting to be here in Texas this season. With 12 G and 9 A for 21 points this season, we're sure glad he is. Plus, it's just so cool to hear his name announced in the starting line-up. Here's the link. Texas and Manitoba meet for the third and fourth times this week to close out their season series. Texas took both games of a very raucous series at home 4-0 and 3-1 earlier in the season. After the 4-0 shutout of the Moose, the second game was a penalty filled affair, racking up 58 penalty minutes between the two teams. Two of the big minute getters, Funk and McCue, are both injured for the Moose. However, the current trajectories of the two teams are a little bit different. What's most notable is that the Stars have dropped six of their last eight games while the Moose have won six of their last eight. Additionally, the Stars goaltender who allowed 1 goal in 2 games previously, Brent Krahn, is not suiting up for the Stars today. We will see if Climie or Ford is between the pipes for the Stars today. Richard Bachman, a Dallas Stars prospect currently playing for the Steelheads in the ECHL, has been named to the ECHL All-Star team. Bachman was a recent visitor to Austin where he started 2 games (1-1-0) for the Stars before being sent down with the acquisition of Todd Ford. The rookie goaltender out of Colorado College is 9-3-2 with a 2.12 GAA and a save percentage of .917. The ECHL All-Star game will be played January 20th in Ontario, California. Bachman was one of 4 Steelheads selected for the team. Rookies D Brendan Milnamow, LW Evan Barlow, and LW John Swanson were also selected from Idaho. Milnamow is under contract with the Texas Stars. Dallas Stars announce this afternoon LW Fabian Brunnstrom and D Maxime Fortunus have both been sent down to the AHL. Brunnstrom, who is with the Texas Stars on a conditioning assignment after being scratched for several games, is expected to rejoin the Dallas Stars when they battle the Montreal Canadiens in Canada on the 14th. Brunnstrom has been down to the AHL before this season but I personally remained unimpressed with his efforts. For such a touted prospect, he was not impressive and really played without energy after being sent down. Hopefully he will be better on this stint, but it remains to be seen. Defenseman Maxime Fortunus has also been reassigned to the Texas Stars. This likely indicates that Mark Fistric will play tomorrow for Dallas. Fortunus played in five games for the Dallas Stars. Fortunus did not register any points in the NHL, but did serve two penalty minutes. One bright spot for Fortunus was the Detroit game, where his defensive partner, Karlis Skrastins, quite the defensive defenseman, scored 2 goals. Having Fortunus back in Austin will help to shore up a blue line that has been allowing too many chances. Hopefully success in the NHL will bring up his compete level and we'll really see some great stuff from him in the coming weeks. Texas Stars defenseman, Ivan Vishnevskiy, has been named as a starter for the 2010 PlanetUSA AHL All-star team. Vish, originally from Barnaul, Russia, is the first Texas Stars player to be named a starter in an AHL All-Star game and the first Texas defenseman to be named to an AHL All-Star team. Vish will also likely be the first player to play in an AHL All-Star game, unless Brent Krahn gets healthy by the 19th on January. Krahn was selected yesterday as one of three goaltenders for the Canadian team. Dallas Stars captain Brenden Morrow named to the Canadian Olympic roster. The Stars gained a point in this match and perhaps that was the best thing about it. Five minutes and five seconds into the game, the Stars were staring a 2-0 defecit in the face. The Crunch came out energized despite having played into OT last night in Houston. Aulin broke the scoreless tie at just 4:49 into the opening frame. He scored again, unassisted on a fluke goal just 16 seconds later. Replays were not shown in the building so it was unclear what happened. There was a lengthy review by the officials which ended in a 'good goal'. Matt Climie was rather upset about the whole affair and had words with the referee and linesmen throughout the night. The Stars scored before the period was out on an Andrew Hutchinson shot from close in that beat Lalande five-hole. The second period's only tally was a Peters goal at16:57. The Crunch would score next at 6:12 of the third to make it a 3-2 lead. Stars goalie, Matt Climie, was visibly frustrated with his play through much of the game, including a very marked physical display after letting in the Crunch's third goal. 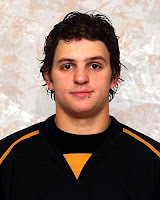 Travis Morin, who played with Todd Ford in the ECHL on the Stingrays, scored the game tying goal just 4 minutes later. All of the goals scored by both teams were at even strength, something we certainly didn't predict. The Crunch took 15 minutes worth of penalties, but the Stars could not capitalize on 5 opportunities. The return of Landon Wilson put a player in front of the opposing goalie on the power play (a la Ott or Morrow in Dallas) but it didn't help in this game. The Stars had a furious energy in the last 4 minutes of the third trying to break the 3-3 tie, but the game went to overtime. The near sellout crowd thought it was over when Fritsche took a tripping minor with 1:13 left in the OT period. As I previously mentioned, the Stars could not capitalize on the PP opp. The game went to the shootout and no Texas Stars scored. Through 4 rounds, the Crunch scored twice and that was all they needed. A poke check from Crunch goalie, Lalande, on Wilson's attempt sent the crowd home unhappy. The Stars will not be back in town until January 6th. Their next game sends them to Manitoba to face the Moose on New Year's Eve. Previously in this series, we've had some bad blood with one game at the CPC resulting in five fighting majors. It's good to see that the Stars have already developed some rivalries despite only having played 30 something games. What can the Stars do? We'll talk about this in the coming days. I have to go watch a Dallas Stars game waiting for me on the DVR. Look for the announcement of the PlanetUSA AHL All-Stars tomorrow at 1 PM CST. 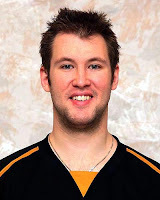 Texas goalie, Brent Krahn, has been named to the AHL All-Stars Canadian team. Given recent acquisiton of goalie Todd Ford, it is doubtful he will be ready to play in the game on the 19th of January. However, this marks Krahn's first selection to the team. He will be joined by Manchester’s Jonathan Bernier and Hamilton’s Cedrick Desjardins between the pipes for Canada. PlanetUSA team lineup will be announced tomorrow at 1 PM CST. This year's All-Star game will be played in Portland, Maine. Tonight's game will be the first ever meeting between these two teams. The Crunch, from the East Division of the Eastern Conference, have the worst record in the AHL with 25 points and 10-18-3-2 record. The Crunch are on a Texas swing and played Houston last night, losing 5-4 in OT. They will play San Antonio tomorrow night. The Crunch, AHL affiliate for the Columbus Blue Jackets, have lost 6 straight dating back to December 12th. They have allowed the most goals in the AHL at 130 (3.94 per game) and have had offensive struggles as well, scoring only 80 goals (2.42 per game) this season, second fewest in the league and fourth fewest per game. The Crunch are also the most penalized team in the league at 26.97 PIMs per game. Look for LW Jon Mirasty (#41) to square off with someone tonight, possibly more than once; he leads the AHL in major penalties (16) and comes in 2nd in PIMs with 150. The Stars power play, currently 18th at 15.5% at home, should get some great opportunities tonight with the Crunch's penchant for PIMs and their PK ranked 25th at 78.1%. In Stars news, captain, LW Landon Wilson, will return to the lineup, as I reported last night. 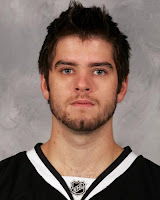 There will also be a new face in the locker room, with the arrival of Todd Ford from the Stingrays. I do not know whether coach Gulutzan plans to start Climie or Ford tonight. Richard Bachman has been reassigned to the Idaho Steelheads of the ECHL. He played in two games for the Stars, garnering a record of 1-1-0. The AHL transaction wire indicates that the Stars have added Todd Ford to their roster. Ford has played some in the AHL and most recently played for the South Carolina Stingrays of the ECHL. Ford holds a 16-6-1 record with a 2.88 GAA and a .910 save percentage for the Stingrays. The Stingrays are currently in first place in the American Conference in the ECHL and Ford is clearly a big part of this. I wonder if Ford would potentially start Tuesday against the Crunch. However, does this move mean that Krahn's injury is going to be longer than previously expected? In other injury news, Stars captain, Landon Wilson, will be in the lineup again for Tuesday night's game against the Syracuse Crunch. Wilson has only played three games with the Stars this season. This was not the way the Texas Stars wanted to come out of the holiday break. Having lost 4 of their last 6 games, the Stars looked to be in good shape to the right the ship today against the Rampage. The Stars held a 4-1-0-0 advantage over the Rampage, having won the past 4 in the season series. But it looked like the Stars had a little bit too much eggnog this Christmas. The Stars' only goal was the first of the game at 12:47 of the first period. The Stars allowed an even strength goal three minutes later. Despite killing off a full 2 minute 5-on-3 the other way, the Stars could not overcome their special teams issues, allowing 2 power play goals. A fluky bounce off the end board at 14:43 of the 3rd period put the last nail in the coffin, 4-1. The Stars could not capitalize on a shots advantage of 45 to 32 and went only 1/7 on PP opportunities, scoring only on a 5-on-3. Rampage goalie Tordjman played exceptionally well, stopping 44 of 45 shots by the Stars. The Stars certainly came out of the break shooting, almost doubling up on their season shots per game average of 25.64. However, they couldn't break through. So, now having lost 5 of their last 7 and seeing their lead in the West division drop to 5 points with Peoria's victory over the Griffins today, where are the Stars? At one point early in the season, Stars goaltenders Krahn and Climie held the #2 and #3 positions on the GAA list for the AHL. But Brent Krahn has been injured for much of the past month and his current condition is still "week to week", according to head coach Glen Gulutzan. In those 5 out of 7 losses we just mentioned, the Stars have allowed an average of 4.2 goals per game. While the Stars have had some offensive struggles throughout the season, they cannot be expected to allow 4 goals a night and win with the regularity they experienced in the early season. How is this fixed? The number one fix is one that we can't rush: the return of Brent Krahn. Matt Climie is an excellent goalie but is still developing. He has started all but one of the Stars games dating back to December 9th. Bachman, the Stars callup from the Steelheads, has started one game during the current slide, a loss to the IceHogs on the 12th of December. Perhaps with the Crunch coming in to town, owners of the worst record in the AHL, Bachman will start. We will see how the Stars react to this tough loss on Tuesday at the Cedar Park Center. With all the talk about coaches for the AHL All-Star teams, don't forget to log in and vote for your Texas Stars in AHL All-Star balloting for 2010. Vote now because balloting ends at midnight tonight! The 2010 All-Star game will be held in Portland, Maine, on January 19th. Just a line update. Last night against the Blue Jackets, Fortunus played with Woywitka instead of Skrastins. Stars won 3-1 and Fortunus put some time in on the penalty kill against one of the best power plays in the NHL. We'll see if Daley and Fistric are ready for Colorado on Saturday. If so, Fortunus might be back for Sunday's matchup with the San Antonio Rampage. Dallas Stars announced this afternoon that they've sent Ivan Vishnevskiy back to the AHL. No games for the TStars until after Christmas. Who will be the scratch? Wednesday's practice had Niskanen in the lineup, but it was not decided who would be on the third line with him, AHL call up Ivan Vishnevskiy or Jeff Woywitka. My guess is Woywitka, but it really depends what kind of confidence Crawford has in Niskanen today. With the Texas Stars on break for Christmas, let's talk about Texas Stars calls up in the past few days. Injuries to Mark Fistric and Trevor Daley brought two of our Texas Stars defensemen up to the big leagues. What a tough way to get your 'first' goal in the NHL. Regardless, the coaches showed some confidence in him by putting him right back in for the next face-off. "Vish" also dropped in on the power play for 3:27 to replace Niskanen, who sat for this game. A lot is left to be said before we make up our mind on Vish as a player in the NHL. With both Fistric and Daley out until after Christmas, we should see at least one of the these guys in the Blue Jackets game on Wednesday night. The Tuesday practice had Vish, Niskanen, and Woywitka alternating on the third D pair. I'll guess Woywitka with Vish. Nisky has been spotty recently and I think Crawford really needs to push him by benching him for a few games. Welcome to "Hundred Degree Hockey". For a good while now I've been watching great Dallas Stars bloggers like Defending Big D, The Other 6 Seconds, and Andrew's Dallas Stars Blog provide amazing insights to the Dallas Stars and the NHL. Living in Austin, Texas, and being a season ticket holder for the Texas Stars, I get an up-close look at some great hockey 40 nights a year. I think the coverage of the AHL in Austin deserves a good kick in the pants. Here goes nothing. You can follow me using an RSS reader or on Twitter. I'd love to hear your comments and talk with you about Texas Stars hockey!